before the start of the war, the 11-2 saw extensive service with over 36,000 being built. 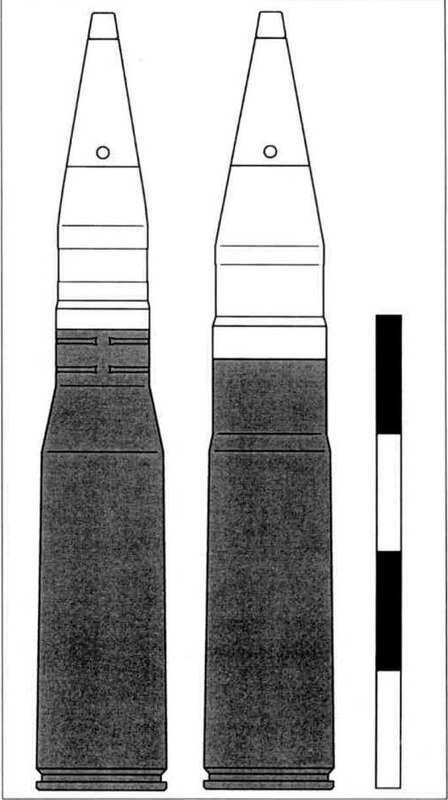 After unsuccessful use of 20mm cannon, the 11-2 was re-equipped with the high-velocity 23mm VYa (Volkov- Yartsev) firing a far more powerful 23 X 152B cartridge, capable of penetrating 25mm of armour at 400m. Two of these were carried, with two RCMGs for sighting. In 1942 the VYa was supplemented in service by the 37mm NS-37 (Nudelmcin-Suranov), which had replaced an earlier design, the Sh-37 (Shpitalny), following comparative testing in LaGG-3 fighters, after only a small number of the latter gun had been made. 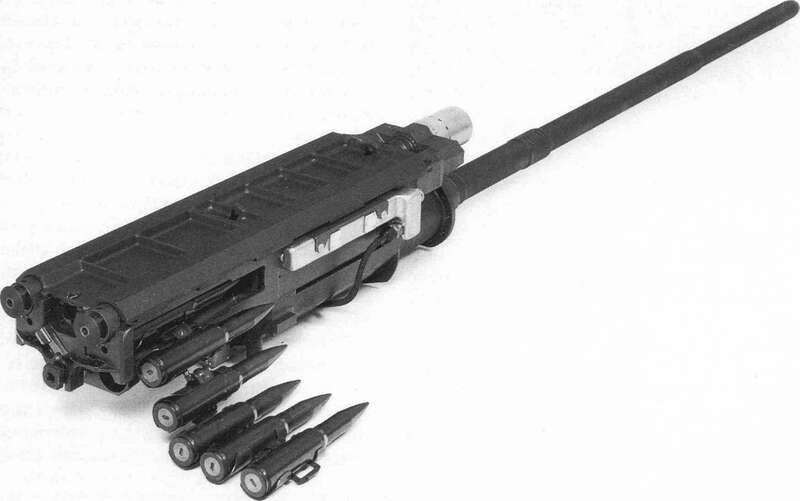 The army was not very happy about this, as the ammunition for the Sh-37 was already in production, so the NS-37 was adapted to fire the Sh-37 cartridge (37 X 195). Two of the NS-37 (also known as the 11 P-37) equipped at least a proportion of the 11-2 type 3M, and the Yak-9T of 1943 mounted one within the engine compartment, firing through the propeller hub. Initial attempts to absorb the big guns recoil by bolting it to the Yaks engine resulted in damage to the cylinder heads so the mounting had to be redesigned to allow the gun to recoil, resulting in the cockpit being moved further back. Despite its ground-attack orientation, the Yak-9T proved a remarkably successful air fighter. It reportedly achieved a strike rate of one enemy aircraft shot down for every thirty-one of the 37mm rounds fired, which is to say one plane per magazine load. Nearly 4,800 NS-37s were built, almost all in 1943. Not satisfied with this, the Soviets introduced the NS-45, which was the same gun as the NS-37 except that the barrel and cartridge case were altered to take 45mm projectiles already in service with other weapons (the army used 45mm calibre tank/anti-tank guns). This resulted in the cartridge case being shortened to around 185mm to keep the overall round length the same. The NS-45 retained the same weight and rate of fire as the smaller weapon (with a slight reduction in ammunition capacity from thirty-two to twenty-nine) while increasing the projectile weight and maintaining a respectable muzzle velocity. A substantial muzzle brake was fitted in order to compensate for the increased recoil. The result was an increase in the claimed short-range armour penetration from 50mm at 200m to 58mm (as with the VYa, striking angle unspecified). The NS-45 was fitted to the Yak-9K of 1944 but only fifty-three aircraft were delivered for evaluation at the front line. The gun proved unreliable and was not adopted for service despite featuring in various proposals (e.g. the Tupolev Tu-2Sh) as late as 1946. Even so, twelve German aircraft were claimed for the Yak-9K with an average expenditure of ten rounds, an indication that the evaluation unit consisted of hand-picked pilots. It is worth observing that mounting a gun to fire through a hollow propeller hub was the optimum solution to the problem of fitting heavy cannon to single-engined aircraft, as it minimised the weight and aerodynamic drag penalties. The Hurricane IID was unable to utilise this as the Merlin engine installation was not designed to accept this type of mounting. By the end of the war, the development of Soviet airborne anti-tank cannon had reached a climax with the OKB-15-57. This high-performance 57mm gun weighed 290kg, which appears considerable until compared with that of the 6pdr Molins, a gun of similar calibre but lower performance. The postwar Yak-9P was designed to take engine-mounted guns of up to 57mm, but this option was abandoned after initial tests. The Tu-2RShR was also equipped with a RShR-57 gun (probably the OKB-15-57, although the Soviet habit of using different designations to describe basically the same gun lends a degree of uncertainty to identification) but this also failed to see service.